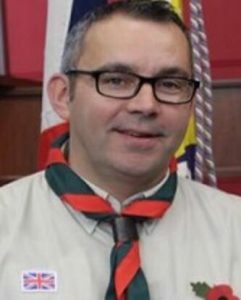 I first started in scouting in 1984 as a Cub Scout and moved through the sections and finished off an Assistant Scout Leader for about 18 months. I then and a 20 year gap from Scouting until my Son joined a local Beaver Section. By chance I was asked to attend a weekend sleepover with the Cubs, due to another Dad pulling out last minute. Fast forwards 3 Months later (including the summer break) I was wearing a uniform, the Cub pack had named me Bagheera and my leadership training had begun. I have just celebrated my 1st year as an assistant Cub Scout leader and have thoroughly enjoyed every single minute. Over the last few months I have started to think about the trials and tribulations we go through as leaders and have started to compile thoughts and questions. If you are a leader, I want to ask you a simple question: Why are you a leader? To be a leader, you need to be passionate about scouting and the Young people we lead. It needs to make you happy. Don’t lose sight of why you are in Scouting and reflect once in a while. There is nothing more rewarding than knowing and seeing the evidence that you’ve made an impact on an individual’s or group of people’s lives. As leaders, we should not look for rewards and praise. Sometimes, we cannot see or feel the appreciation and impact we have made but, believe me it’s there. This reward on its own should drive you to want to be the best leader you can be for yourself, your section, group and surrounding community, and of course most importantly each and every Beaver, Cub, Scout or Explorer that you lead. These Young People need their leaders to figure out how they can support them and encourage them. They need leaders to show them their potential and find out what works for them to learn to the best of their ability. Everyone learns differently and it is up to US as Leaders to find out how these Young People learn effectively. The feeling you get when these Young People turn those statements around into, “I did it! I am so proud of myself,” is absolutely priceless. Don’t let your Young People give up and never ever give up on them either. We live for those moments. You get to celebrate big and small accomplishments throughout each and every meeting, term, year and time spent in Scouting with your Young People. You get to watch your Young People (current and previous) grow and be proud that you were part of the process to get them to where they are today. Just think how you have or will feel when you bump into a former Scout and they remember your name or even pack name. I hadn’t seen my old scout leader for 20 odd years, but still called him Skip when we met up recently. You’d probably agree that Young People can be extremely funny without even trying! Either individually or all at once, your Young People probably make you laugh. I cannot talk for everyone but to me, laughter helps remove the stresses of my working day. When you are a leader, you need to have a sense of humor and joke around with your Young People. It will certainly brighten your day and the day of others. Don’t get me wrong though, as it is not all fun and games! Your Young People need to also know when it is a time to be serious against when it is a time to joke around. It is important to find this balance with your Young People to make sure things don’t get out of hand or noisy. In most professions, people don’t get to “create” their own environment. They go to work in the environment that has been created for them and that they contribute to. However, as leaders we get to create our own environment in which to transfer our knowledge and skills to the Young People. We can only hope that leaders create a positive environment that will enrich the learning that goes on in the meeting / camp. Leaders WE have the freedom to make the best out of it! Whether you do it intentionally or not, you inspire others just for being you. You inspire the Young People to do their best when you do your best. You inspire your team to work hard when you work hard. You inspire everybody around you to be happy, positive, creative, and energetic when you are. The list goes on but I think you get my point! With that being said, be the best version of you at all times because you never know who you are inspiring! Since becoming a Leader, I have learned so much about my creative potential that I didn’t know existed. Initially I struggled with putting together a meeting plan which kept the Young People entertained. I now like to think that it comes more naturally for me to plan for meetings and outdoor activities, even on the fly. Use your life and Scouting experiences to spark your inner creativity because it is there even if you haven’t discovered it yet. As an Assistant Cub leader I look forward to certain meetings during the year, as I get to greet Beavers moving up to Cubs. I get to learn the personalities of the Young People and can start to figure out how I can help them all reach their potential. Also at the same meetings, I get to feel sad that I have Cubs moving on, but happy in the knowledge I have provided them with the best training I can give. I am always grateful for the memories that we’ve given each other and what we’ve learned from one another. No matter what you do, don’t take it for granted. If you are given the opportunity to lead a session or activity, enjoy it and give it your all. When you are a leader, you teach beyond the boundaries set by the scout association. You pass on experiences to the Young People on how to deal with their emotions and how to problem solve. You pass on experiences to the Young People on how to be independent and organized in life. You pass on experiences to the Young People on what matters to them and what their interests are. You pass on experiences to the Young People on how to have good manners and how to be responsible for their own actions. You pass on experiences to the Young People on how to apologize to others and learn from their mistakes/actions. The greatest part is, you teach all of this and so much more without even realizing it. You teach all of this by simply being an amazing leader who cares about what you do. A Huuuuuuge thanks to Stuart for an awesome Blog post! I am a leader. (currently an ACSL) as I want to make memories for our YP,, help them develop themselves and theur skills, and grow as individuals and collectively. As I say to some people when we have this sort of conversation, it’s now that I realise what my leaders got out od being a leader in Scouting when I was a YP going through the sections.